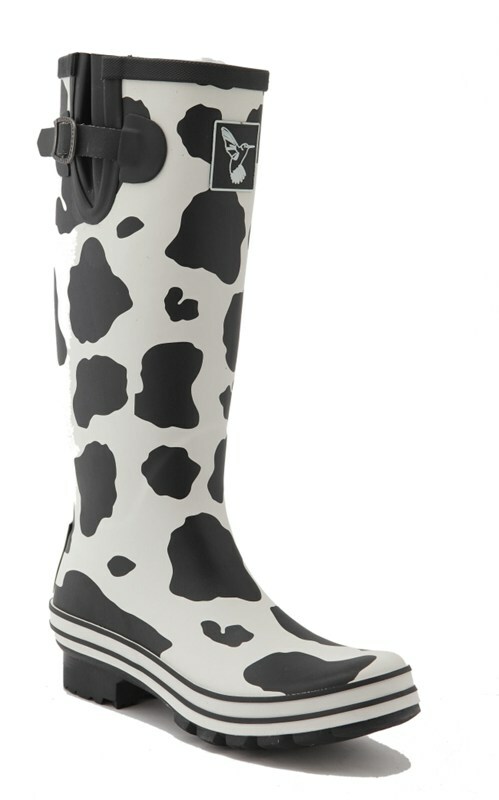 The cow print Evercreatures wellies are made from the highest quality natural rubber sustained from long established forests which do not affect our rain forests. 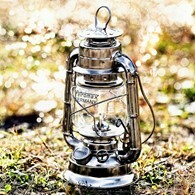 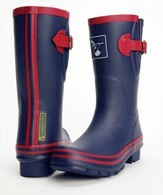 The boots are long length at 37cm and have an adjustable gusset on the side with a metal branded buckle. 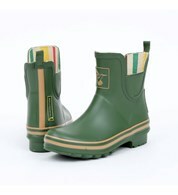 The wellingtons have a very comfortable Eva moulded sole and have a soft cotton lining. 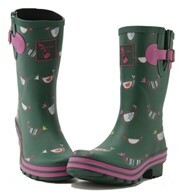 A fabulous designer boot for the winter rain and snow or for muddy festivals! 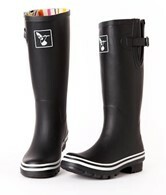 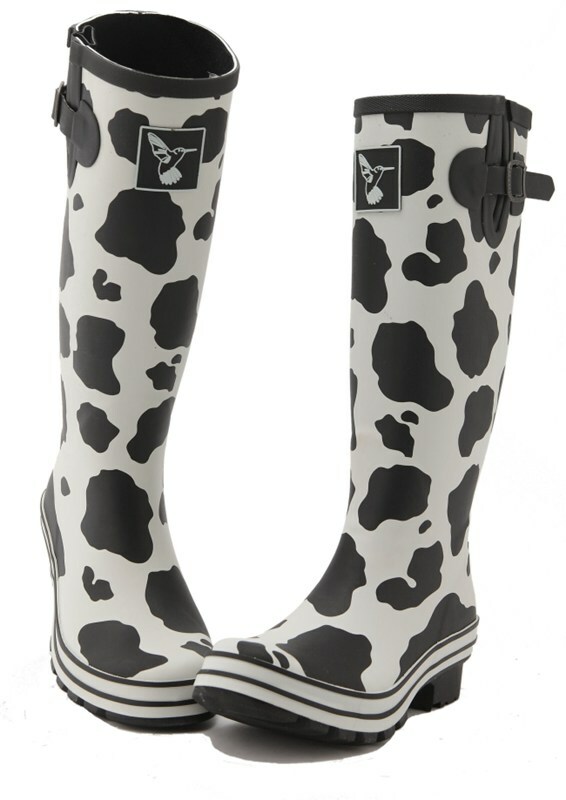 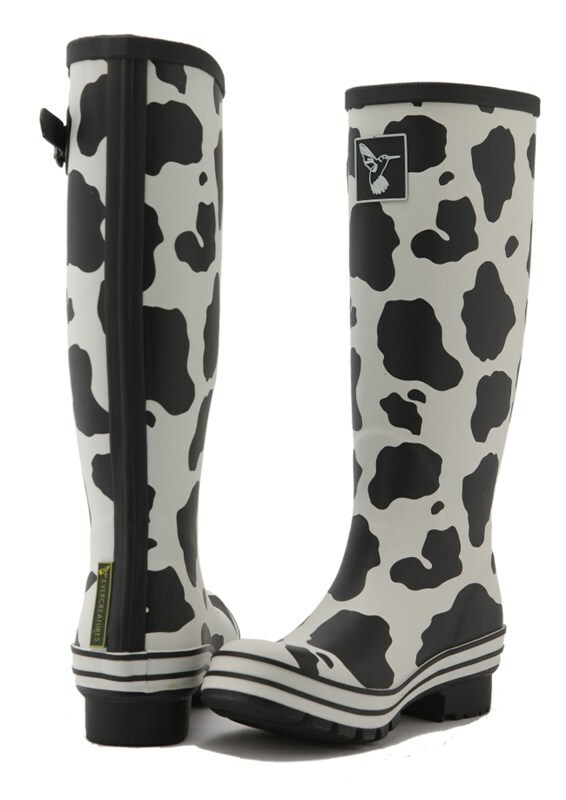 There are no reviews for Ladies Evercreatures Cow Wellies Festival Wellingtons.